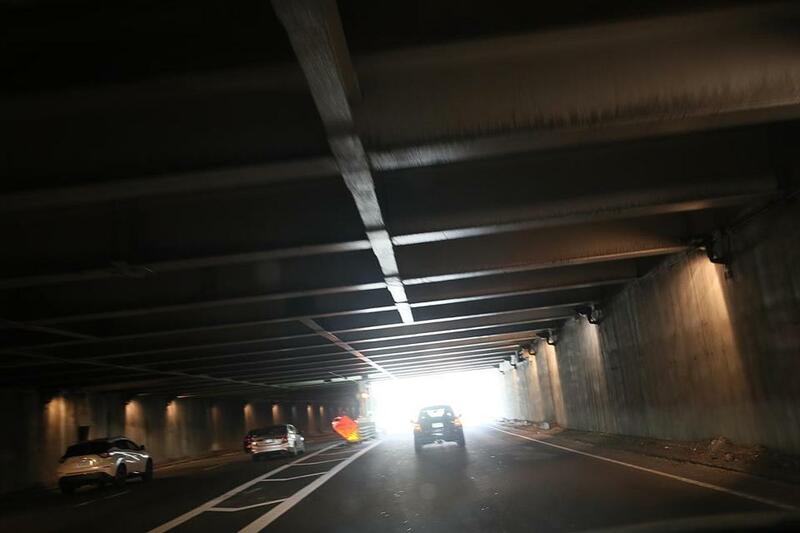 A view underneath the Storrow Drive overpass which runs roughly from Clarendon to Berkeley Street. It runs 1,280 feet along Boston’s Storrow Drive, from about Clarendon Street to the Hatch Shell. 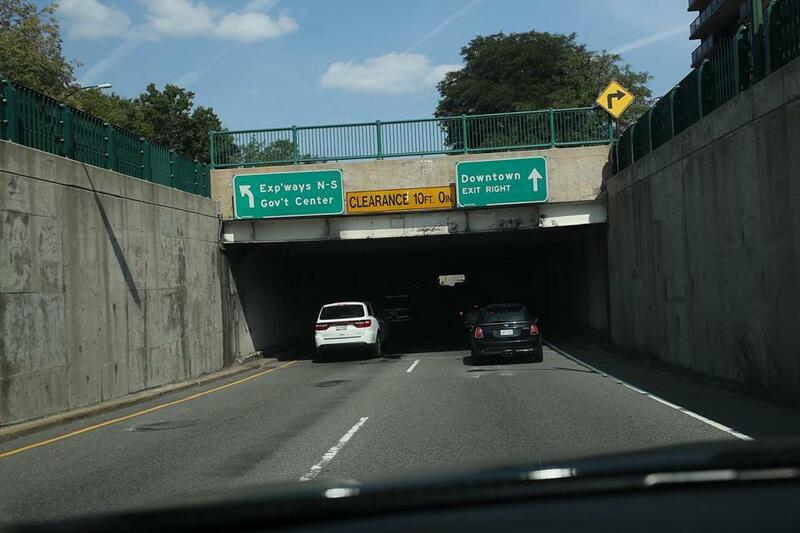 It’s more obviously a tunnel, with eastbound drivers traveling underneath the westbound lanes, but officially it’s a bridge — a bridge with a dubious distinction. For nearly two decades, this quarter-mile stretch of concrete, steel, and asphalt has been rated a rock-bottom zero on a 100-point scale used by officials to set priorities for bridge repair or replacement. It’s the only zero in Massachusetts, and it’s one of about four dozen around the country still open to traffic. So how, exactly, does a bridge get that low a rating? And should it still be carrying thousands of cars a day? The answer to the first question is quite complex, but state officials say — and outside experts agree — that the bridge is indeed safe. Nonetheless, they say, it needs to be replaced. And despite years of talk and costly study, state officials still haven’t settled on a long-term solution, nor do they have a timetable for when they will. In fact, the state now seems further behind in that process than it was a decade ago. The bridge is just one of many examples of deteriorating infrastructure in the state. Case in point: About 400 bridges in Massachusetts were rated below 50 points in recent years, signaling they may need replacing, and a large number of MBTA properties, from stations to trains to garages, such as the Alewife parking facility in Cambridge, are due for substantial overhauls. But the Storrow bridge offers a glimpse into the frustrating governmental delays bogging down projects, even the most critical ones. In the meantime, Band-Aid repairs aimed at squeezing as much life as possible out of existing structures have cost taxpayers millions. In the case of the Storrow bridge, officials say about $20 million has been spent to shore up the zero-rated structure over the past 12 years. Now they say they will spend another $500,000 to study long-term solutions, even though a similar study was completed more than a decade ago. The state’s lowest-rated bridge, located along Storrow Drive where Boston’s Back Bay and Beacon Hill neighborhoods converge, gets plenty of use. The most recent available traffic estimates date from 2006 and show that, at that time, an average of 103,000 vehicles drove on the structure each day. The only busier bridge in the country with a zero rating is the Brooklyn Bridge, with an average daily traffic estimate of about 135,000 vehicles as of 2011. That zero rating, however, was based on a December 2014 inspection when the bridge was in the midst of a major rehabilitation project. The Storrow Drive overpass which runs roughly from Clarendon to Berkeley Street, facing east. The Storrow bridge has held a zero rating since December 2001, when it was downgraded from an already low 6.8. Over the years, crews have done patchwork to the tunnel beneath to combat leaks, rust, cracked beams, a bowed ceiling, and falling concrete. And experts note that federal records of recent inspections indicate the bridge is structurally sound. “A bridge can look bad and even have a bad rating . . . but it doesn’t necessarily mean it’s unsafe,” said Franklin Moon, a Rutgers University engineering professor who specializes in monitoring the structural health of bridges. Transportation officials nationwide use a standard called a sufficiency rating to prioritize repair and replacement projects. The measure provides a fairly comprehensive look at a bridge’s status. Scores between zero and 100 are calculated using a detailed formula that considers the structure’s condition, functionality, and importance. Though the Storrow structure’s overall sufficiency rating is a zero, some factors driving its score down are not related to its structural integrity. Records show that two critical bridge elements, the superstructure and substructure, are in better shape, labeled as “fair” and “satisfactory,” respectively. The bridge’s rating gets dinged for some factors unrelated to its fundamental health, including its narrow lanes and low clearance underneath, and because it is particularly vital for traffic and as a route for emergencies. Meanwhile, part of the formula used to calculate the score is based on the ability to carry heavy loads, but the bridge, like the rest of the Storrow Drive parkway, was never designed for, or open to, large trucks and similar vehicles. Even so, the structure, which was never waterproofed when it was built in 1951, has worn considerably and is eventually going to need to be completely rebuilt, Moon said. In 2006, the Globe reported, state officials determined it had a usable life of less than five years, prompting them to spend nearly two years studying several long-term solutions — all expensive and significantly disruptive to traffic — from replacing that swath of Storrow with surface roads to rebuilding the tunnel and even adding a second one. The state agency in charge of the bridge, the Department of Conservation and Recreation, selected the quickest, cheapest proposal: a two-year, $55 million rebuild of the existing structure that the DCR hoped to break ground on by 2010. But that proposal drew sharp neighborhood backlash, even lawsuit threats, because it involved cutting down dozens of trees to build a temporary roadway on the Esplanade for cars to use during construction. By late 2007, proposals for replacing the bridge were shelved. State officials said they wanted to more carefully consider broader effects and determined the structure could continue to be safely used for a while longer if it was shored up. The state made interim repairs, including $11.5 million worth of fixes in 2008 (which included waterproofing work), another $3.1 million project in 2012, and an additional $2.6 million of work over the past three years. Today, a long-term solution is still nowhere in sight. Officials said they plan to spend $500,000 to start studying the feasibility of a reconstruction project, but it’s premature to say when work might happen and what it would cost. They also left open the door to consider alternatives to a rebuild. Richard Sullivan, former commissioner of DCR, said the research and study done a decade ago when he was in charge of the agency “may need to be updated, but it all still has value.” The offices of Boston Mayor Martin J. Walsh and Governor Charlie Baker declined to comment. City Councilor Josh Zakim, who represents District 8, where the tunnel is located, urged state officials to pick up the pace. “It is crucial to find a long-term and sustainable solution, and that starts with a commitment and an investment from the state,” Zakim said in a statement. Moon said officials can postpone the inevitable for only so long. If safety concerns arise, that could force the state to abruptly shutter the bridge, sparking traffic nightmares. That’s happened twice in Boston recently. In Oct. 2014, city officials abruptly shut down the Long Island Bridge. Two months later, the city closed the Old Northern Avenue Bridge, which spans the Fort Point channel and for years had been restricted to only pedestrians and cyclists. Federal records on the condition of the 615,000-plus bridges nationwide based on inspections in recent years showed that, in addition to the Storrow bridge and 46 others that remained open with the lowest possible grade, there were 35 more bridges with zero ratings — and all of those have been closed.